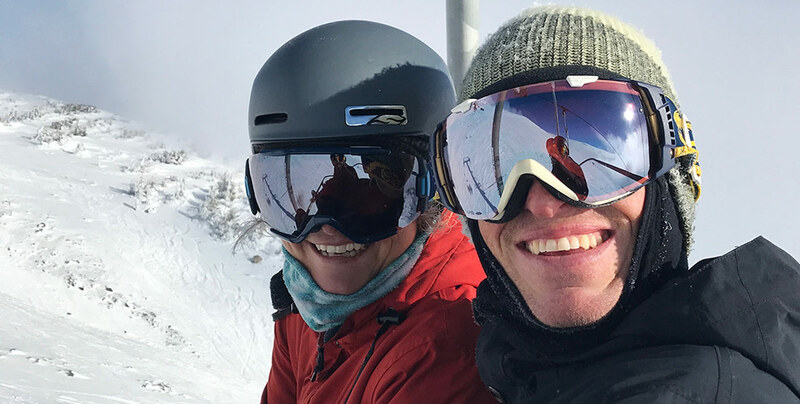 Looking back at the first month of the 2016/2017 season, it’s been a great month packed with travel and snowboarding. 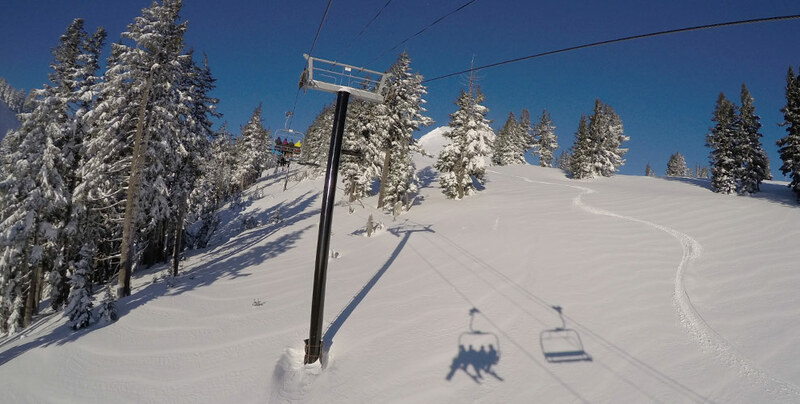 The Cascades are thickly blanketed with over 100 inches of snow, settling in for what we hope to be a long winter. 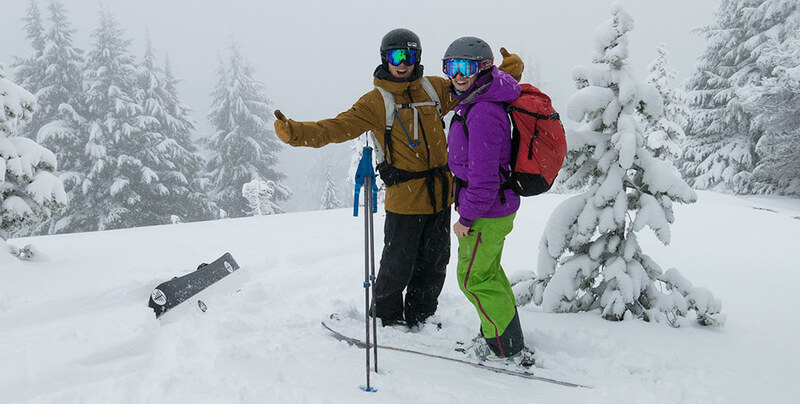 As the Mountains turned white this fall the seasonal snow junkies within us emerged from their urban depression. 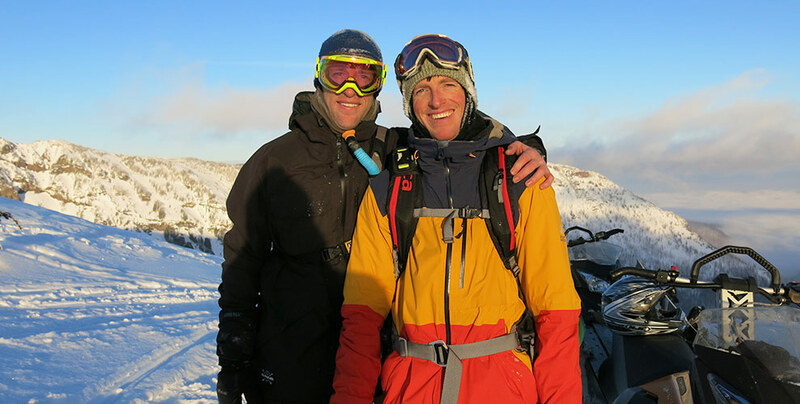 We busted out of hibernation with force, having already been out splitboarding and snowmobiling multiple times. And ridden Meadows on a few top notch powder days, all before a Christmas break and our up coming New Years trip. 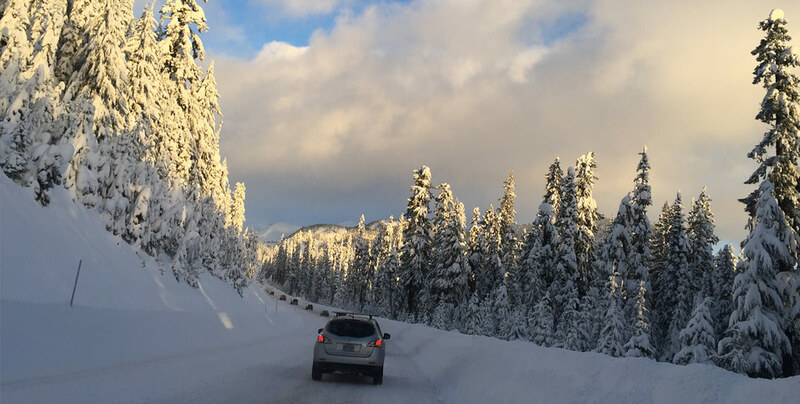 December has beaten expectations and far surpassed the quality of snow generally seen in Oregon. Big Flakes has suffered this season from constant storm cycles pounding the Northwest. The lack of attention and lack of fresh media does not reflect the activity of the crew however. Recapping reminds me of how fortunate we’ve been. Early snow allowed for Nikki and I to get in some backcountry travel in Bend over Thanksgiving. This winter marks the first time I’ve owned a tow vehicle, which has been pretty badass for Nikki and I to be self-sufficient in both travel by car and sled. 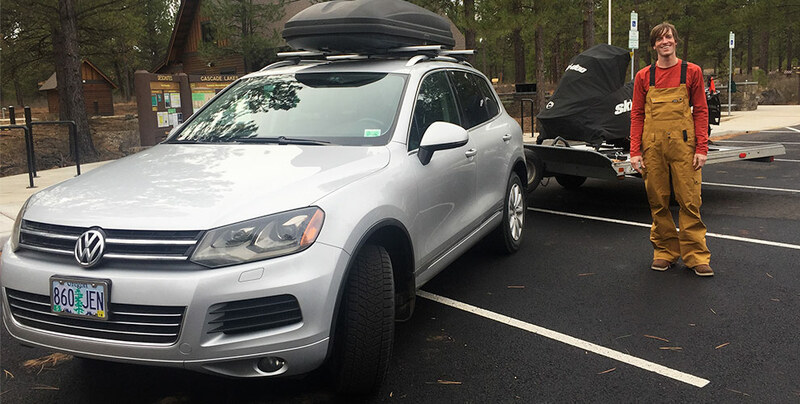 The Touareg towed in-style averaging 22MPG while towing one sled. The Skidoo’s setup with the dual board racks, an extended seat and bag straps, is making it easy for the two of us to get around on one machine. 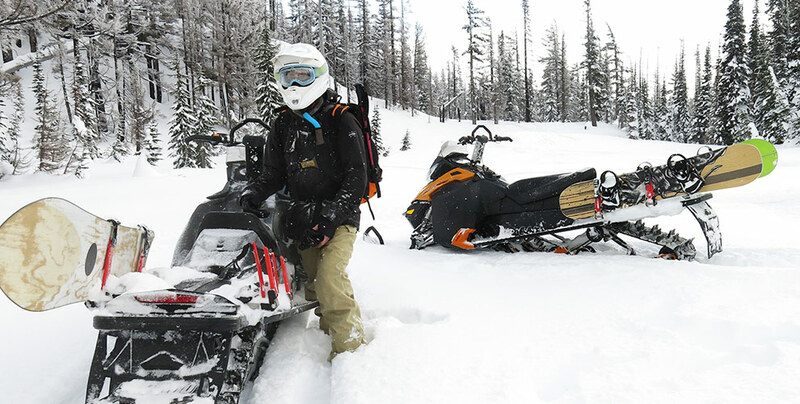 A thin snowpack on the Cascade Lakes Highway made for easy sled travel into Todd Lake for split laps with Mikey and Marge. The turns were pretty darn good for November but the snowpack was really thin in the woods, allowing for tragedy to strike. Marge got bit by a snow shark and tore her ACL. That’s right, first turns of the season and we lost a riding companion. Big Flakes Sends love to Marge and good thoughts for a strong recovery. Marge, remember the turns in the video below. You ski so well! Get better soon. We caught up with Dave over Thanksgiving and got to stay with him and Casey in-town Bend. So stoked to have met the whole Reuss family and to get my sledder talk fix. Daily Shredder Dave has been busy breaking in his new RMK Pro. 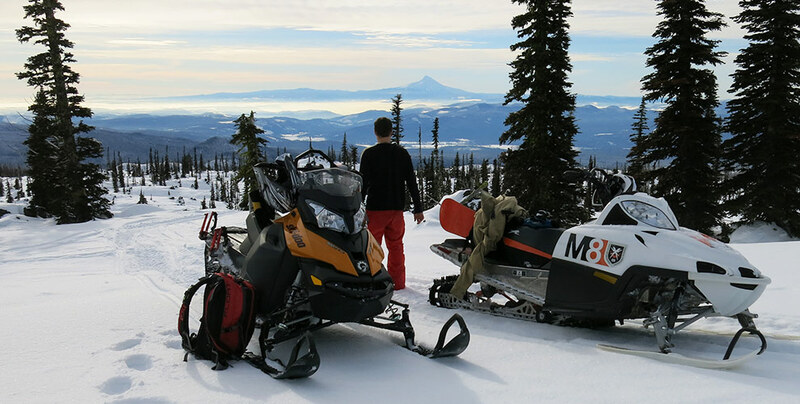 He had good info on conditions and pointed Nikki and I up to the wilderness boundary line by Broken Top, where we got a better idea of what Bend snowmobiling has to offer. We were pleased to find easy doubling access out to some high elevation bigger mountain terrain. Meadows has had a really strong start this year. The camera has largely remained in my pocket so far this season but rest assured the turns have been good. 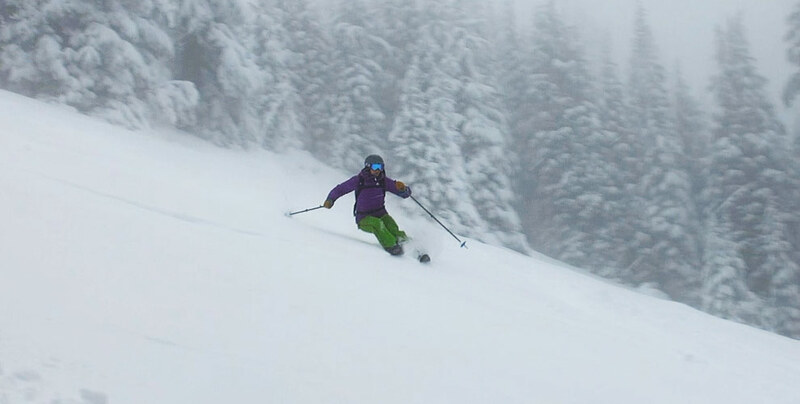 December weekends have been dominated by storm days with strong winds and blowing snowing. The lift service laps have been packed with crowds but also big riding crews. It’s been so fun to make turns with Kelso, Taylor, the Paces, Kevin and Pollard, Chris and Aaron…So many smiling faces. The weather broke during the third weekend in December. Kelso, Dre and I took advantage of a Friday weather window to hit up our Southern Washington stomping groups. 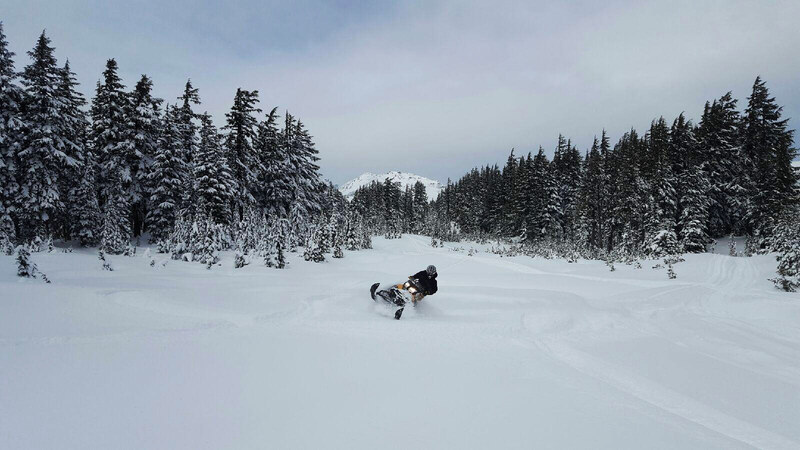 The sledding was a bit of challenge with deep snow and a logging operation jamming up the easier access to the riding terrain. Taking the long route made for a bunch of fun sledding as evidence by the GoPro clips. So stoked on the big machine’s power and carving capabilities. I definitely feel like I’ve been cheating my way out of getting stuck in some tight pinches. But with new confidence comes deeper holes. I buried her pretty good trying to punch our way out of the woods up onto the high-country bench where the riding opens up. We left the mountains that day with few snowboard runs made and very beat from digging and sledding. 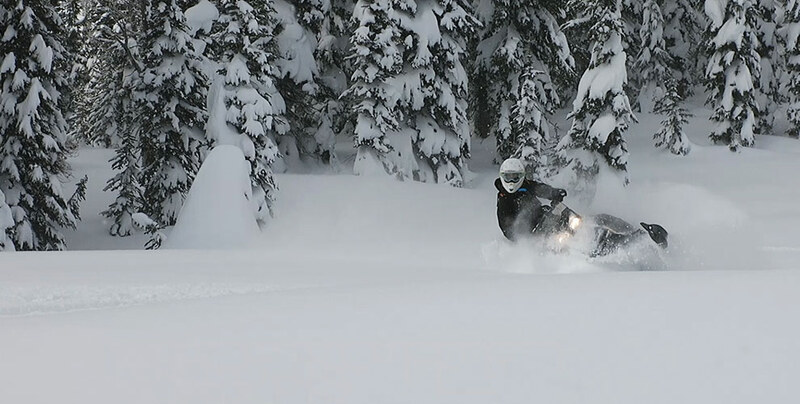 Dre and I returned again Sunday to take advantage of the stable snowpack, still air and sled track we set to the riding area. 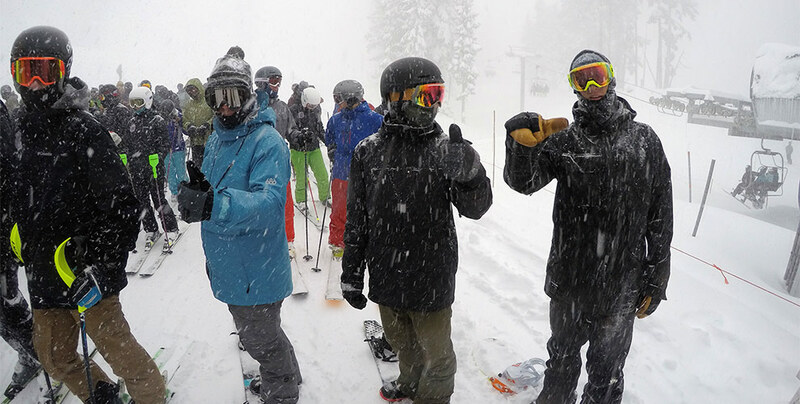 We got rewarded by some mellow boarding laps through some amazing snow. December still has a few riding days left for us. We head to Mt.Bailey for the first time at the end of the Month. Years in the waiting to ride the Bailey terrain with it’s groomed sled trail to the summit. 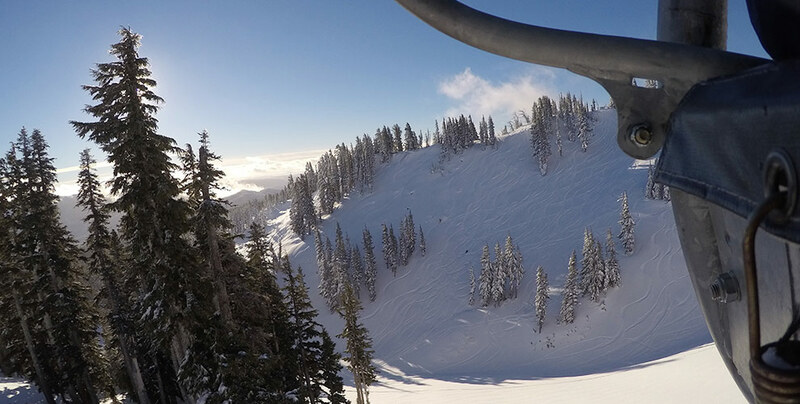 Thank you Mother Nature for the great reminder of why snowboarding is so important to us. Bailey, here we come!